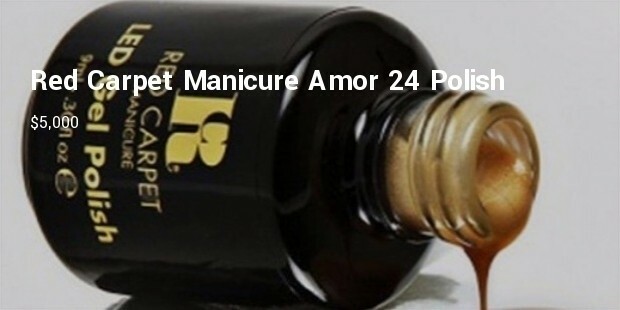 Manicure is a cosmetic beauty treatment for the fingernails and hands. The sole purpose being to look beautiful, stylish & presentable. Some of the basic steps included in a manicure are nail trimming, removal of cuticles, nail polishing, and moisturizing. While some people prefer to have their nails trimmed and nail cuticles removed, a lot prefer to have their nails polish. 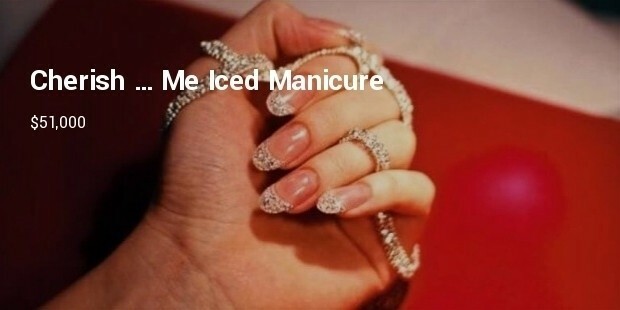 However, manicure now has expanded beyond just shaping & polishing nails – it has now become a style statement, whale-friendly manicures made from materials like gold and crushed diamonds exist for those lucky few who can afford them. Below are some of the most expensive manicures in nail art history. 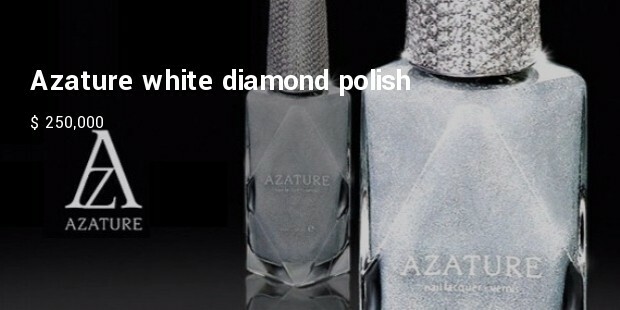 Azature has their special Black Diamond polish made up of 267 carats of expensive black diamonds. Every 0.5 oz of bottle contains a single black diamond. Kelly Osbourne was greeted with backlash from her fans and critics alike when she famously wore this luxurious nail polish to the Emmy Awards in 2012. 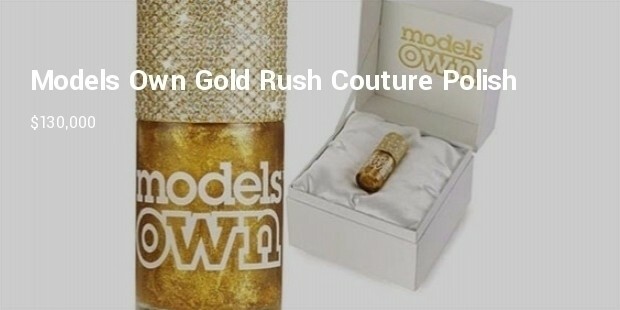 The exquisite Models Own Gold Rush had been one of the most expensive nail polish ever. The catch actually lies in the packaging, a yellow gold lid encrusted with no less than 1,118 diamonds. That is the couture version. A ready-to-wear $78 version is also available without the special lid that is. 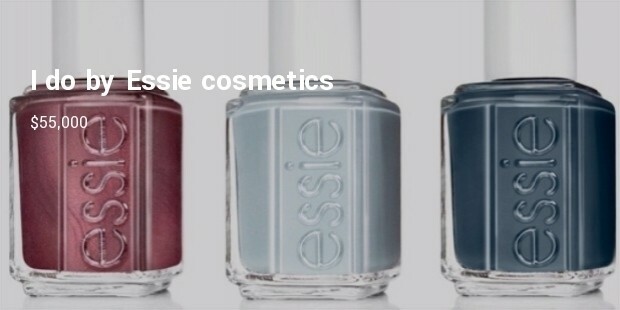 This lush nail polish was a result of creative collaboration between Essie Cosmetics, Allure magazine, Platinum Guild International and Johnson Matthey, a supplier of platinum from the UK. With high end association as such, it is no wonder that the polish is made from rare powdered platinum. There is also an affordable version which is priced at $250. This is a Dubai based luxury brand & is considered as a high-end beauty treatments. This is from now-defunct spa Cherish ... Me was the diamond standard. 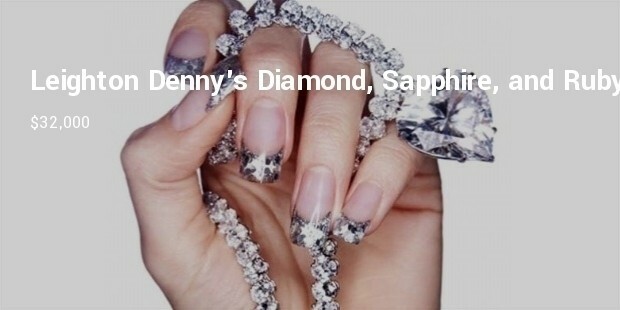 The bling could only be obtained following a consultation with the owner of the nail art bar herself and her team of diamond manicure experts. Getting a manicure is very stress relieving. Besides, getting a manicure is one way to pamper and treat yourself. It can be very relaxing to see beautifully done nails at the end of the day, which also adds to your style quotient, be it for everyday wear or office wear or for special occasions.